The farmers on Flying Islands Chronicles used to have robots taking care of their crops, but the machines have gone mad. Everything is destroyed and you will have to figure out what happened and repair everything in this fun time management game. Recruit soldiers and engineers to take care of the lands and achieve awards for collecting food, removing obstacles and many more. 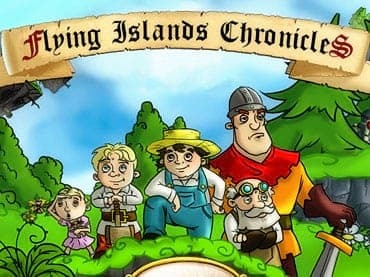 Help the farmers on Flying Islands Chronicles to take back their lands and crops. If you have questions about Flying Islands Chronicles game, please contact us using this form.